It I Talk about my mum, I can firmly say tat she will always find out different ways to feed me maximum of protein!!! And if it comes to be anything using sprouts, I simply love it :) "Sprouts Tikki" is the one I got to learn from her... A very tasty and protein-rich replacement of evergreen Aloo Tikki!!! - Grind mung sprouts (preferably without water) and keep it in a bowl. 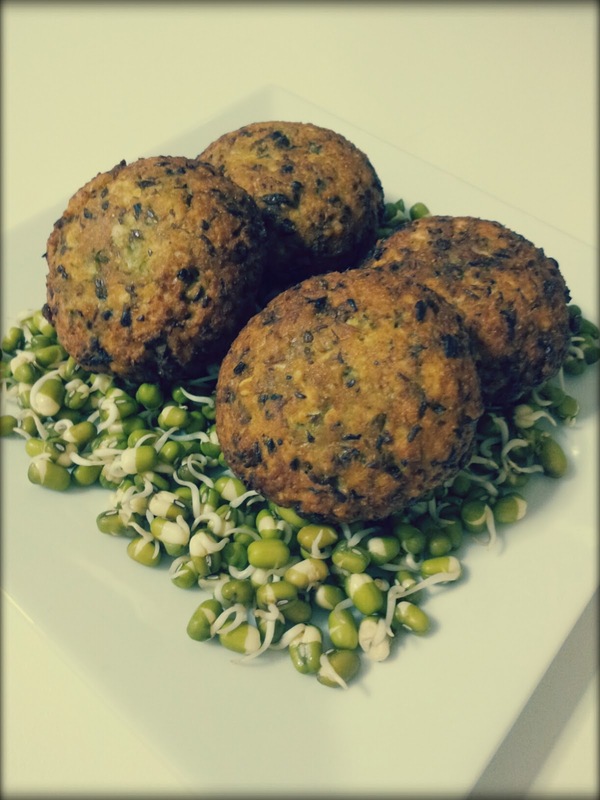 - Add grated onion & besan (add a little more besan, if unable to form tikki shape). - Add rest of all ingredients and mix well. - Heat some oil in flat pan & shallow fry tikkis. - Serve hot with green chutney.